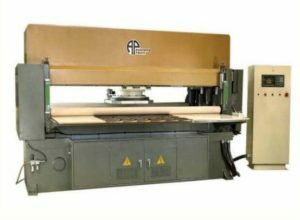 Die Cutting Services is a method of cutting a non-metallic substrate using sophisticated machinery to produce a finished part very quicky and at very little cost. Die Cutting: We offer the lowest priced nationwide contract die cutting services , laser die cutting and CNC Plasma Cutting for any size company. From the entrepreneur to large OEM Automotive firms, we will take your drawing or idea from concept to reality. Our CEO is a Mechanical Engineer who earned a patent (#5511822) for his process inventions. He will personally assist you in selecting the best method and materials for your project. Then he will oversee production of your parts to ensure they meet your drawing requirements…all at pricing far below industry standards. For proof of our low pricing, please visit our pricing section on how we compare to other die cutting firms. Often, our prices are 20%-40% below our competitors. Please read how we price your project in the Pricing section. 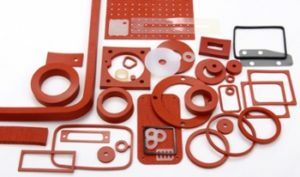 We routinely perform laser die cutting on custom gaskets, ceramic felt, foam, sheet plastic, corrugated plastic, composite, fiberglass, chipboard, fabric, rubber, paper, felt, cork, thin metals, wood, flexible magnets, sponge and custom scrapbooking . Please visit our materials section for a comprehensive list of materials. Mag-Knight Environment: Our very inexpensive, precise and clean services have inspired many of our customers to send us a testimonial regarding their experience with our company. Setup Fees: We are the ONLY company which will tackle any size job without a set up fee. This is unheard of in the industry. Every other company will charge you $75-$100 whether you order is 10 or 10,000 parts! We never charge this fee, ever. When you are comparing our service to another company (and I hope you do), don’t forget to ask about their set up fee! It may even exceed the price of your parts! Mag-Knight™ Technical Abilities: As previously mentioned, our company president will take you step by step through the process and suggest the most efficient methods based on his experience and patented processes. You will pay the lowest price combined with the highest technical knowledge. Contact Information: If you would like to contact our chief designer and company President, please send your e-mail requests Company President. Video Demonstration: We have several videos on this page that can aid in your design. Please take a look at them. We accept MasterCard, Visa, Amex, Discover and open accounts upon credit approval. Company background: We have been in the business for over 30 years. We strive in providing excellent customer service at rock bottom pricing. How can we do this? Well, we own (not lease) all of our equipment and the buildings / offices. This enables us to surpass our competitor’s bid because they have to factor in at least a 25% margin to pay overhead. Our hourly press time is only $80 per hour. Our closest competitor estimates their jobs at $125 per hour. For proof of this, visit our pricing section. In short, this savings is passed on to you. On top of this, where else can you find a mechanical engineer on staff to help you design your parts? Our company president has a Mechanical Engineering degree from Michigan State University with experience of over 15 years aerospace design and manufacturing at the Boeing Company. If you need the lowest cost service and the highest expertise, you found it right here at Mag-Knight.